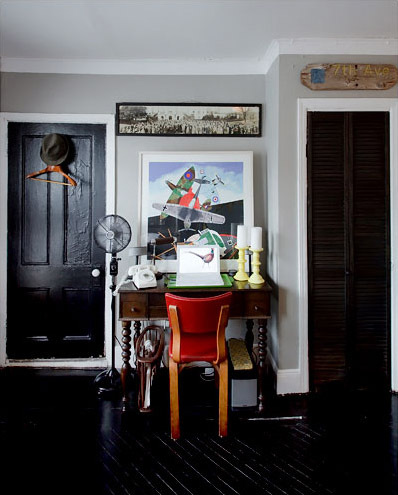 Zach Motl is a NY designer who lives in a tiny teeny apartmentÂ which he has fabulously transformed which goes to show just how beautiful small can be. 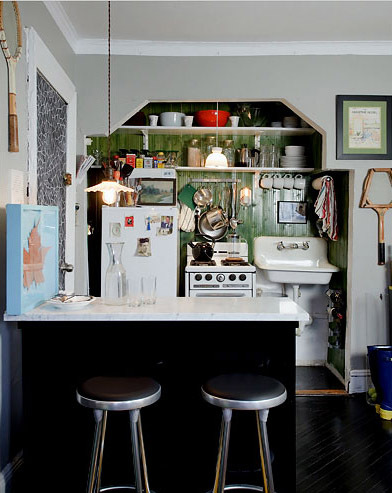 He deserves a round of applause in my opinion because most people who furnish small spaces do so in a minimal somewhat boring way. Karl like me believes more is more. 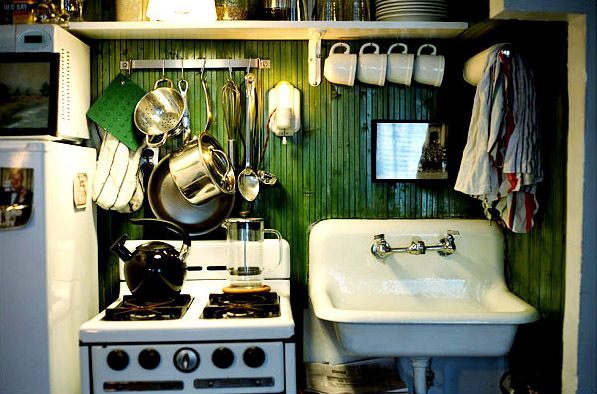 Particularly love the kitchen – he built the breakfast counter which by the way doubles as the front hall table – and stained simple wood he brought in a DIY store a beautiful shade of green and then varnished it to be it super glossy. Love, love love. Beautiful this green is beautiful and rustic and homely. Lived in and loved everything I want an interior to be. 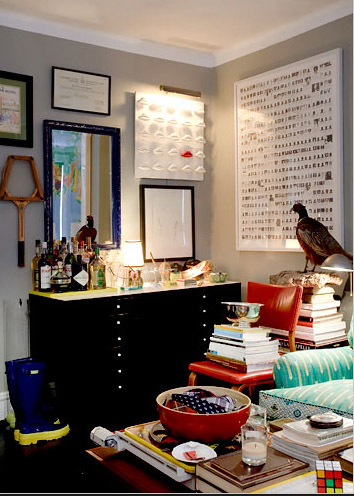 His office is super cool – most of the items picked up at thrift stores and the painting above the desk hides the TV. Some other images of the space below and I must say very impressed indeed!